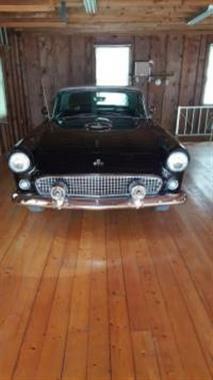 1955 Ford Thunderbird in Waterford, CT for sale. This car is well-equipped with overdrive, power windows and seats. The 192hp Y-block V8 and 3-speed transmission with overdrive in this excellent example combine to offer a 115 mph top speed. 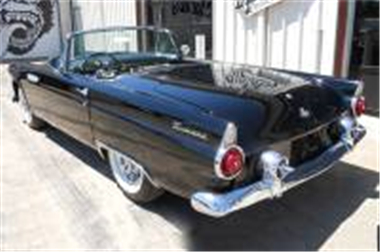 The T-bird offers a far smoother ride and a more luxurious interior than other personal luxury cars of the period. 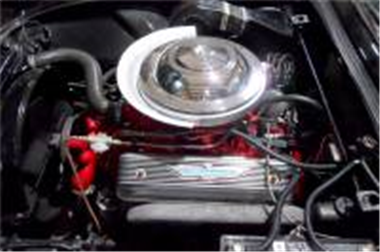 Options include the optional white hardtop fashioned from fiberglass, engine dress-up kit, rear fender skirts and whitewall tires on a set of rare chrome Kelsey Hayes wire wheels. 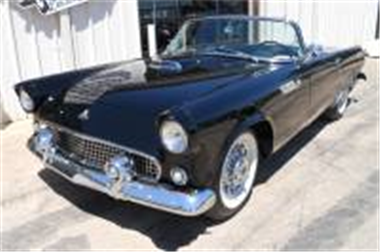 This 1955 Thunderbird in classic black paint with a white hardtop is simply clean and correct in every way. 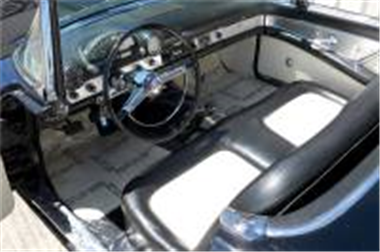 The two-tone interior is in great shape, with carpets and upholstery that are also clean and tidy. Its complete with power windows and seat, an AM radio, cigarette lighter and the optional Magic Aire heater. The paint is excellent, with panel gaps that are good, and all of the chrome and trim show well. Coming out of a prominent collection, this T-Bird simply epitomizes the style of the 50s. 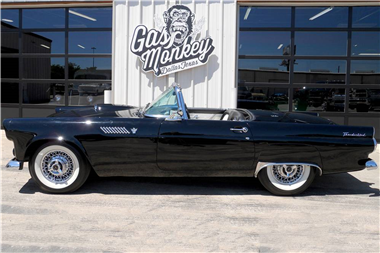 This vehicle is priced $11,023 more than the Average Market Price of $38,977 for a 1955 Ford Thunderbird. This is a Poor Deal as it's priced 22.0 % above market avg. The Pie chart below shows the number of ads within different price ranges.